A DRAMATIC RISE in the number of cases of polio in several countries has prompted a call for travellers to these areas to get vaccinated. The World Health Organisation has called the re-emergence of the disease a ‘public health emergency’. The United Nations health agency convened a two-day closed-door emergency talks last month amid concern that the virus, which currently affects 10 countries worldwide, was spreading. 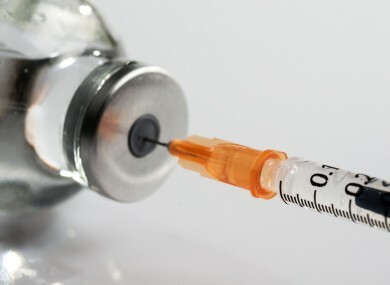 Now the HSE’s Health Protection Surveillance Centre (HPSC) is recommending people travelling to African, Asian, and Middle Eastern countries to ensure they have received the vaccination. “Vaccination against polio in Ireland is provided as part of the routine childhood immunisation schedule,” Dr Suzanne Cotter said said. She noted that 10 countries currently have ‘active wild poliovirus outbreaks’ – and it could begin spreading further. WHO are especially alarmed that the recent cross-border spread of the disease came during the traditional low season, warning that the situation could deteriorate as the high season begins in May. *International certificates of polio vaccination may be required for long-term visitors to, or residents from, these countries before departing. Email “Heading long-haul this summer? Get the polio vaccination, says the HSE...”. Feedback on “Heading long-haul this summer? Get the polio vaccination, says the HSE...”.